The IKEA furniture chain was created by Ingvar Kamprad, a Swedish man who started his business by selling ballpoint pens through mail-order. In the 1950s, Kamprad began to market household goods alongside of his pens; his mission was to sell good quality Scandinavian furniture that everybody could afford. The name IKEA is an acronym of the two initials of Kamprad’s name, and the first letters of Elmtaryd and Agunnaryd, the farm and town where Kamprad was raised. Sixty years post its creation, IKEA has become a phenomenon of home furnishings. There are eighty-eight successful IKEA stores world wide, proving that it is universally appealing. With an astonishing $169 million dollars of sales in 2008 in the United States alone, the furniture chain is favoured to surpass Wal-mart Stores Incorporated, which is ranked number two in U.S. Furniture retailers. Executives believe that the value-oriented approach will allow IKEA’s furniture to appeal to a broader range of customers, and that the recessionary conditions will not hurt its business. 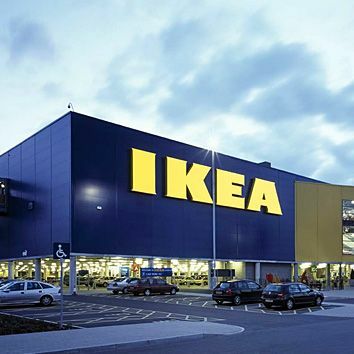 All IKEA stores around the world are similarly designed; the blue and yellow warehouses are familiar to many people. The company offers a wide variety of home furnishings and promises to fulfill every customer’s needs. IKEA stores are made easy to navigate with wide aisles and clean floors. The catalogue and measuring tape provided to customers allows for better purchasing decisions at breathtakingly low prices; and the company’s self-service policies give customers more satisfaction. On top of that, every IKEA is equipped with a restaurant that features Swedish specialties and kids meals, all at the same low prices and great value. IKEA has won the hearts, minds, and taste buds of millions of customers, and it will continue to do so in the future.